A branch of Ashchem in Sunderland. A major North East chain of 15 pharmacies has been sold to a firm in Milton Keynes. Ashchem Chemists has been trading in the region since 1981 and has grown from a single pharmacy to one of the largest independent retail pharmacy chains in the North East. 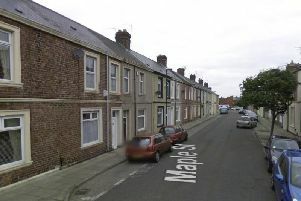 It has branches in Sunderland, South Shields and one in Hebburn, as well as across Newcastle, Gateshead and County Durham. The chain was bought by Juno Health, led by CEO Mark Peatey , for an undisclosed sum. Mr Peatey has 18 years’ experience in launching, accelerating and transforming companies in the UK, Europe and the USA and comprises a leadership team of experienced pharmacy and multi-site retail executives. He said “The Ashchem estate is one of the biggest and most respected pharmacy groups in Northern England. "It was successfully grown by Ash Aggarwal over a 35 year period by focussing on patient’s clinical needs and employing well trained, patient focussed staff. "Juno Health is delighted to have acquired such a high quality business. Newcastle based law firm Mincoffs, led by corporate partner John Nicholson, advised Ashchem’s owners Ash Aggarwal and his family on the deal. Mr Aggarwal said “I know that Mark and the team at Juno will continue to build on the foundations of patient care that we, together with our staff, have built up over the years at Ashchem. "John Nicholson and his team at Mincoffs were excellent. "They delivered a first class service and were available 24/7.